Children's store Scandinavian Minimall are coming to the Assiette Anglaise restaurant in Islington for a pop-up shop for one day (in fact one afternoon) only. Check out the cool stuff on the site, and make sure you go along. 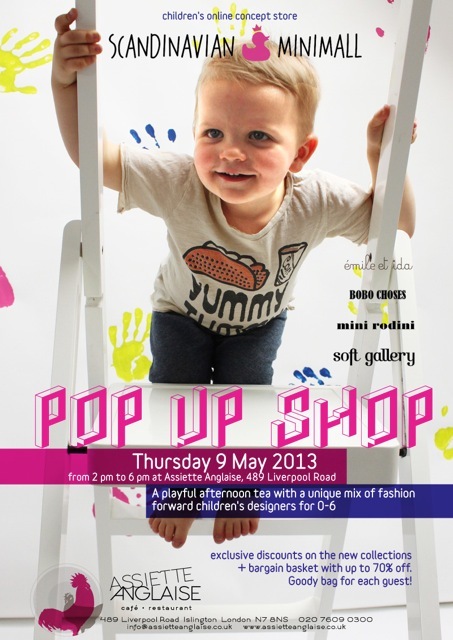 "On Thursday May 9th from 2-6pm Assiette Anglaise are hosting a pop up shop at the restaurant. 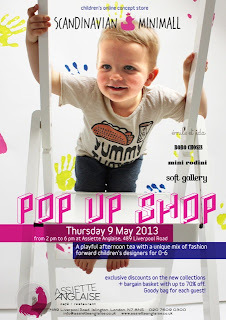 Children's online concept store Scandinavian Minimall comes to Islington. Expect a unique mix of fashion forward children's designers, including Mini Rodini, Emile Et Ida and Beau Loves with exclusive discounts on the new collections, as well as a bargain basket with up to 70% off!"